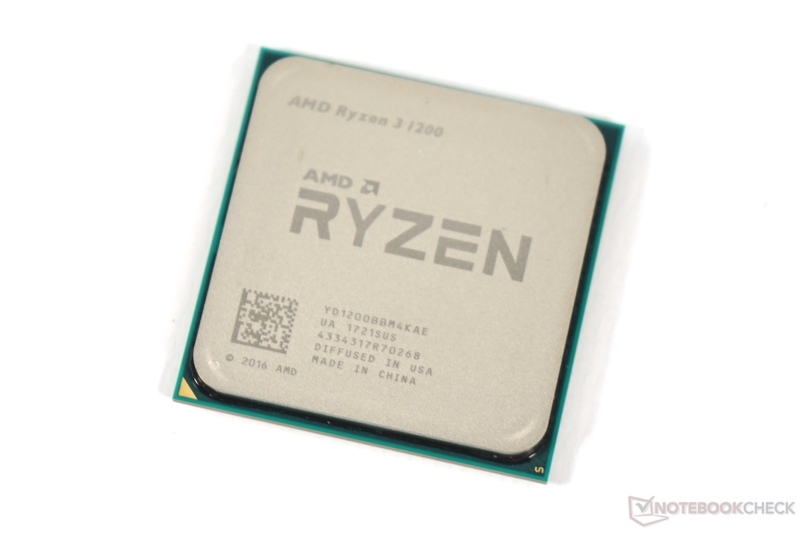 The AMD Ryzen 3 1200 is a desktop quad-core processor with 4 cores and no Hyperthreading / SMT (4 threads only). Mid 2017 it is the slowest Ryzen 3 quad-core CPU. The TDP is specified at 65 Watt and the CPU cores clock with up to 3.45 GHz (XFR 2 cores, 3.4 GHz without XFR). A detailed review can be found here.